In the last few years there has been a lot of talk about the levels of mercury in canned tuna and its impact on human health. The media has played a significant role in raising awareness of this issue, but at the same time has not necessarily explained all sides of the issue. So, let’s start at the beginning and explore the issue of mercury levels in canned tuna. Mercury is a natural occurring metal in soil, rocks, biomaterial and bodies of water. It can also be released into the environment by human activity. They most common type of mercury found in fish is called Methylmercury. It is an organic form of mercury and in high doses is toxic for humans. What type of fish has the lowest level of mercury? There are many species of fish that naturally have a lower level of mercury in their meat. The first are shellfish, such as oysters, clams, scallops and mussels, followed by salmon. Others include crab, shrimp, trout, herring, haddock, Pollock, sole, flounder and lobster. Of these most are bought fresh, but you can buy canned salmon, canned mussels, canned clams, canned oysters, canned scallops and canned crab. Why do certain types of fish have higher levels of mercury? Because Methylmercury is naturally found in biomaterial, fish species in the lower end of the food chain consume it in their food. As one moves towards the top of the food chain, fish like tuna eat the smaller fish that already contain Methylmercury in their meat. As a result, top feeding fish contain a higher level of mercury in their muscle tissue. This is known as bioaccumulation; when species higher up on the food chain consume species lower on the food chain that have small mercury concentrations that over time increases the level of mercury in their own bodies. Another factor involves the amount of lipids (fat) a fish species has. A 2008 study found that tuna with more fatty tissue can have a lower overall level of mercury compared to tuna fish that are low in fat, suggesting that fatty tissue can have a small dilution effect on mercury. However, a ‘fatty tuna’ such as Albacore will usually have slightly higher mercury levels than a ‘light’ tuna fish such as Skipjack since Albacore are typically larger (higher up the food chain) and caught older (more time for mercury to accumulate). 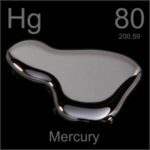 What effect does mercury have on humans? There are several potentially negative effects mercury in canned tuna can have on humans. These include: personality changes, tremors, vision difficulty, deafness, memory loss, loss of muscle co-ordination, intellectual impairment and in very extreme cases, death. So how much mercury consumption from canned tuna is too much? Of course, these are the “recommended” allowable intake of canned albacore tuna. In one study, a man who had been eating 2 to 3 cans of tuna per day was tested for mercury and found that levels in his body were 4 times over the recommended levels. If you eat more than the recommended allowable number of canned tuna per week, you’ll have a much greater chance of increased levels of mercury in your body. Is canned tuna from the grocery store safe to eat? In one word: yes. In both Canada and the United States there are federal food inspection agencies which have strict requirements for food producers to maintain safe levels of mercury in canned seafood, and particularly in canned tuna. These agencies test canned tuna randomly and frequently to ensure their quality is good. So long as your canned tuna consumption remains within the suggested servings per week, eating canned tuna will have more nutritional benefits to your diet than not eating it at all.